They say managed care organizations aren’t paying bills quickly enough. The state says it’ll help nonprofits if they're in serious financial need. Some behavioral healthcare nonprofits say that they aren’t getting reimbursed quickly enough for care covered by Medicaid. The complaints have to do with Rhode Island’s system for handling Medicaid claims. 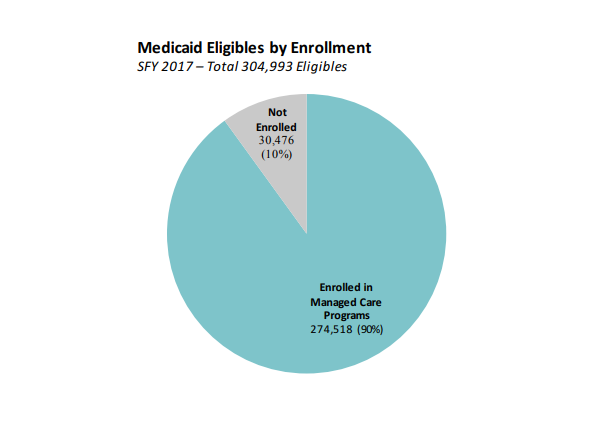 A few years ago, the state transitioned to a system in which nonprofits send their Medicaid bills to managed care organizations, such as Neighborhood Health Plan, United HealthCare and Tufts Health Plan. By and large, the nonprofits don’t like this new system, in part because it takes longer to get reimbursed. They say it has pushed back their cash flow and made it harder to keep up with costs. Ben Lessing is president and CEO of Community Care Alliance, based in Woonsocket. Patrick Tigue is Rhode Island’s Medicaid director. He says the state provides cash advances to nonprofits that show serious need. And he says, even though these nonprofits are still adjusting, managed care has shown promising results. Tigue adds that almost all reimbursement payments are made within 30 days of being received. The vast majority of Rhode Island's Medicaid recipients are enrolled in managed care plans.